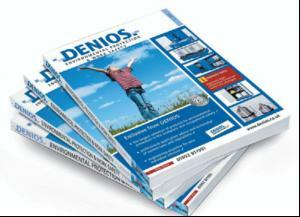 In addition to featuring a wide range of products, the 450-page 2010 Denios catalogue serves as an aide memoire in terms of professional guidance through a minefield of laws and regulations. Sections include: Pollution control - Hazardous storage; Production equipment - Handling systems; Absorbency - Cleaning - Disposal; and Work safety. Roy Smith, MD of denios, says: "This is not simply another random collection of useful products, but a carefully and thoughtfully created guide to best practice for the health and safety sector."